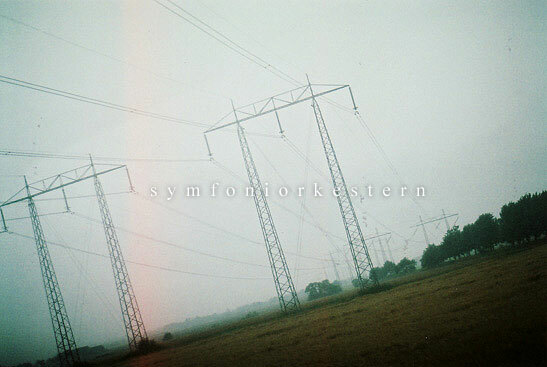 Symfoniorkestern are a uniquely Swedish group, an experimental indie symphonic orchestra. They (Pär, Hanna, Staffan, Martin, Jonathan, Nils, Jan and Jim) are like an indie-rock balkan inspired band with a grab-bag of unusual orchestration, lyrics in Swedish and lovely harmonies in the Belle & Sebastian or Françoise Hardy style. Until this day they released 3 delicious EPs (that you can download for free or buy with a lovely booklet) and 3 cool self-directed videos. They covered Vilse by Slutet (song that was released last may on Bad Panda #23) and here it is in free download for you. I don’t remember. It was quite some time ago. I used to collect a lot of things. Now I just try to keep as few things as possible. Guitar Wolf in Hamburg in ’04 or ’05.